Official entry forms are due by October 12, 2015. • Thursday, September 24, 2015 @ 4 p.m.
• Tuesday, September 29, 2015 @ 4 p.m. & @ 7 p.m.
For the meeting link and more details, visit the VSF website. 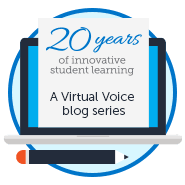 The FLVS Virtual Science Fair was created to promote a real life scientific experience for our students. This exciting student activity encourages students to think like young scientists. Students that enter the VSF will participate in independent science research by designing their own science project that uses the scientific method to answer a question or solve a problem. Generally, students will have from October to early January to complete all aspects of their project. A virtual open house and online project presentations will be held in January with top placing projects advancing to the Dr. Nelson Ying Orange County Science Exposition along with the potential to earn various awards, prizes and scholarships. 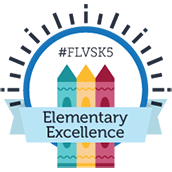 The VSF is open to all Florida Virtual School students in middle and high school, including those enrolled in FLVS Full Time, FLVS Part Time and FLVS Global School (if they have not competed in any other ISEF-affiliated fair in the same school year). Students interested in participating in the VSF should begin by visiting the website and reading the VSF Getting Started, Expectations, Timeline, and How to Enter. Students may begin research on potential project ideas, however, experiments cannot be started until after VSF project approval in October 2015. Official entries will be accepted starting September 21, 2015, and no later than October 12, 2015, by 8PM EST. This entry was posted in Full Time Edition, Homeschool Edition, Student Edition and tagged Clubs, Experiments, Extracurriculars, FLVS FT, FLVS Full Time, FLVS Virtual Science Fair, Scholarships, Science, Student Activities, VSF on September 24, 2015 by Guest Blogger. Hi! I’m Sophia. I love science. 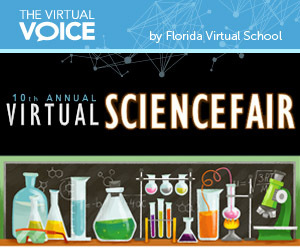 I am looking forward to participating in the virtual science fair.